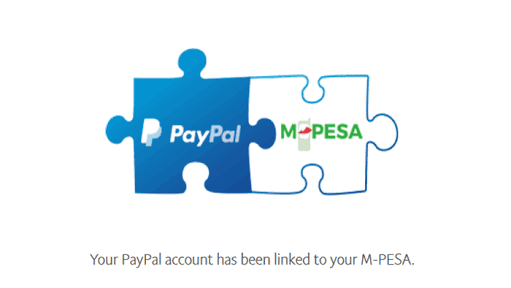 You can now link m-pesa account to PayPal in order to allow you Withdraw and also Deposit to your PayPal Wallet via m-pesa. M-pesa recently announced their partnership with PayPal which enables M-pesa users to link their account to their PayPal wallet for easy and smooth Withdrawal and deposit of funds. First, you will need to have not both a working PayPal Wallet and an m-pesa Account. If you don’t have a PayPal Wallet, you can head straight to the PayPal Website and Sign up for a new wallet. Don’t have an m-pesa account ? Locate and visit any of the m-pesa outlet/Agent near you to open an account. Once you have both accounts ready, then we can move on to figuring out how to link both accounts. Click On Get Started which will take you to PayPal’s Log In screen. Now Allow/Agree TransferTo to link your PayPal wallet to your m-pesa account. Enter your m-pesa Number and Click on Link your accounts. If the number you provided is attached to an m-pesa account, You will receive a text message on the phone number you provided containing a 4 digit PIN. Input the 4 digit verification code text message you received in the box provided for confirmation. Once that it done, then your PayPal wallet and your m-pesa Account will now be successfully linked. You can now go ahead and Deposit/Withdraw from and to your PayPal wallet via m-pesa. We’ve also written an article on how you can can Withdraw and Deposit to your PayPal account via m-pesa which you will be needing since your accounts are now linked. Make sure you check to see if the PayPal wallet and m-pesa account carries the same full names and phone number before trying to link them. Any discrepancy in the name or phone numbers might lead to you getting an error message while trying to link both accounts. However, if your names on both your PayPal wallet and m-pesa account are the same and you are still getting the error message “Sorry, we can’t link these accounts, they don’t belong to the same person”. Then you might want to send PayPal Customer Care a message to hopefully resolve the issue. They might also ask you to show them enough proof supporting your claim that the two accounts belong to one person. Users of m-pesa in Kenya, India, South Africa and other countries m-pesa operates in can now link m-pesa Account to PayPal. PayPal is perhaps one of the biggest names/company when it comes to online payment. This gives users of m-pesa a means of buying goods and services online as PayPal is not only widely known but also widely accepted online. They can also get paid for providing goods and services on the internet which can in turn be transferred to you m-pesa account. Got any questions ? Leave a comment down below.